A couple of weeks ago, P&PC brought you the matchbook poem- ulations of El Fenix Cafe in Texas—the oldest Mexican restaurant chain in the United States. Turns out that El Fenix wasn't the only enchilada in the West to serve up poetry with steaming portions of homemade food, however. Just two states over, in Williams, Arizona, Route 66-era Rod's Steak House was doing El Fenix one better, one-upping the cafe's folding poetry-delivery system with the cool steer-shaped table menu pictured here. Founded in 1946 by Rodney Graves, a Maine- born, onetime surveyor for the U.S. Coastal and Geodetic survey, Rod's is proud of its menu design, boasting on its web site that "The registered trademark menu, die cut in the shape of a steer, that the restaurant uses today, is the same one Rod used to open the Steak House with back then." Given the steakhouse's emphasis on the "registered trademark" status of its menu, it's a little ironic that the poem "Little Town" featured inside (next picture below) appears without any byline whatsoever, as if it had simply been found growing between a prickly pear and a saguaro cactus and harvested as a natural resource. Is there such a thing as a poetry rustler, riding the Western plains looking for stray poems to corral and send to market? If so, "Little Town" might be one of those poems. Not that Rod's is unique in reprinting —or even implicitly claiming authorship for—the poem. The city of Pekin, North Dakota (population 80) has claimed "Little Town" as its own as well, reprinting it on the city's official website with "anonymous" as its byline. It appears, though, that "Little Town" does in fact have an author—several authors, in fact. Some web sites list Pearl Wheatley as the poet and date the verse's composition to 1948. Another site—for the small town of Lebanon, Kansas—names Edie Price. Yet another site names Al White, one time mayor of Three Rivers, Michigan, who supposedly penned the poem in 1836. So, what does it mean that "Little Town" is attributed to so many authors? We here at P&PC don't have a fully formulated answer yet, but we do find the solution presented by the public library in Clark County, Wisconsin, to be a provocative one. The folks there don't attempt to identify the poem by author at all; rather, they note that "Little Town" has been "Submitted by: Bertha Peterson"—attributing the poem to its user, or to the person who keeps it circulating, rather than to the writer, or the person who brought it into circulation. Somewhere in here, we think, is a key to understanding a structural element of the way poetry works within popular culture—that there's an alternative bibliographic system wherein credit is given, like in some gift economies, to the person who keeps the poem moving (or, moo-ving, in the case of Rod's Steakhouse) and not to the person who started things out. 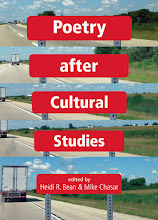 With its privileging of momentum and transient ownership, rather than stasis and accumulation, there's something utopian, or at least anti- or non-capitalist, at work here—something that poetry (rather than other literary genres) facilitates and is facilitated by—and we think that's maybe one reason why poetry has gotten a bad rap (as useless, trivial, sentimental, etc.) in the age of industrial and consumer capitalism. 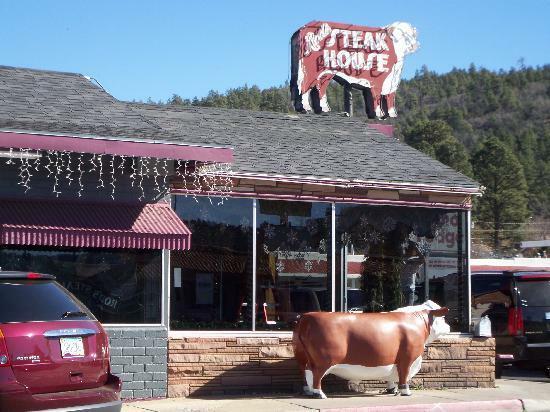 Who knew, from a first glance at "Little Town," that so much could be at stake—or at steak?